Now that the February 2016 Bag of the Month Club is no longer a secret, let's get you inspired to make your own Window Shopper Tote! What about painting your own fabric? Make the large tote out of sturdy canvas and practice your brush strokes. 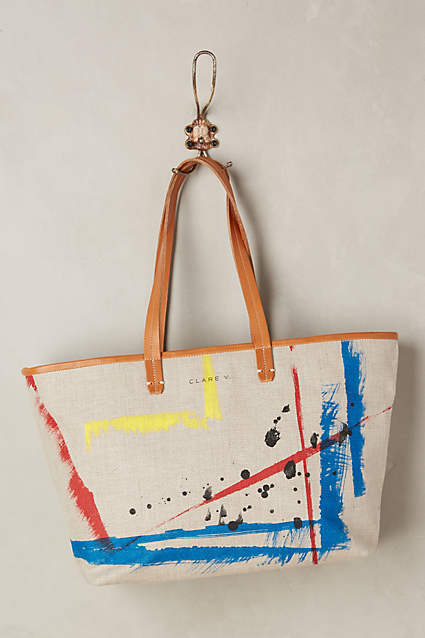 To get the look of the of the bag below, made by designer Clare Vivier, just put a piece of cardboard over your canvas and paint over the edges. Then move a way from your canvas and splatter some paint in another colour. Have fun with your abstract art tote. If you have some leather remnants in your fabric stash, or even an old fabric item you no longer wear, you could give it a new life by using it for the Window Shopper Tote. 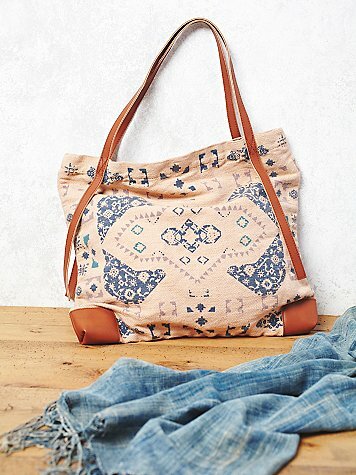 The leather and the main fabric in the Free People tote bag below share similar tones but you could use a really dark leather, for example, and a contrasting bright main fabric. 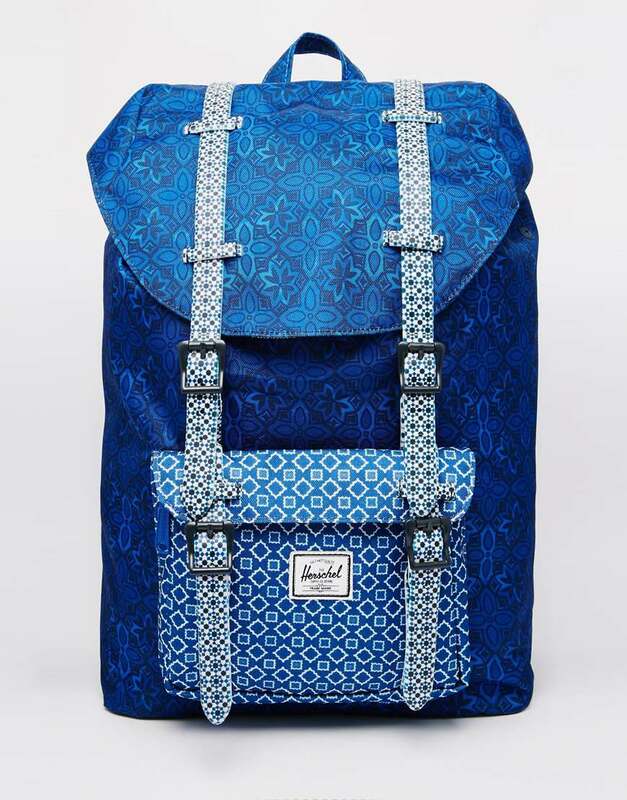 If you love richly patterned fabric as much as I do, you will maybe take on the challenge of mixing two-three patterns that are similar in both colour and shape (for example florals with florals, or stripes with stripes) like this blue diamonds and circles Hershel backpack below. 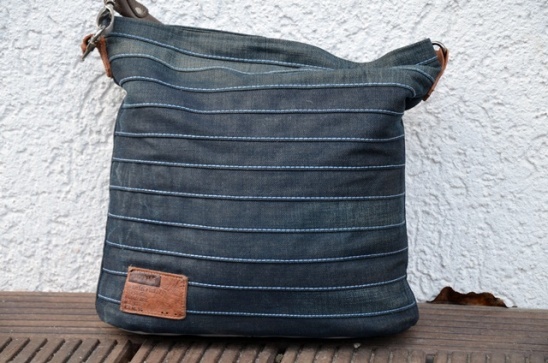 Why not finally pick them up and turn them into something new and wonderful like this tote from Elle Puls. 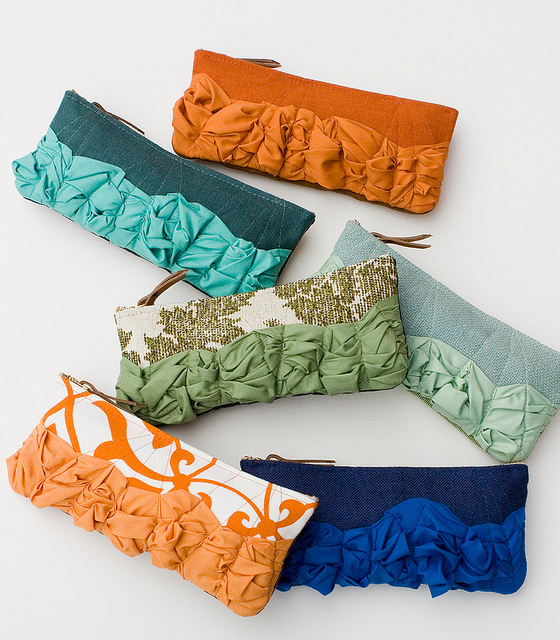 Even the most uninspiring piece of fabric can turn into a little work of art, with a little bit of creative inspiration. Take a look at how designer Katie Henry, from Made by Hank manipulates lightweight fabric over canvas to create new, organic textures.